Our Flat Generator is one of our bestselling attachments. This attachment generates a flat with a minimal convex shape. 2:1 Drive ratios produce the more flat surface, and yield even number of flats,2, 4, 6, etc. The 1:1 drive can be used for generate 1, 2, 3, and 4 sided flats. Our unit mounts on the cross slide and the cutter shaft is driven from the Spindle Drive Shaft, typically interfacing with the existing pick off drive gear. We have units for Acmes, New Britain, Wickmans, and even Davenports. Perfect for non-ferrous applications such as aluminum and bronze, our unit is heavy duty, and we have many customer’s using this in steel applications. We manufacture the durable holder and perishable inserts, and even provide “blanket” orders on the inserts for some of our customers. Our Thread Milling attachments is essentially the same as our Flat Generator, except that is always a 1:1 ratio. This unit is an alternate solution to thread rolling, especially for customer’s struggling with no lead brass or thin sectioned parts. 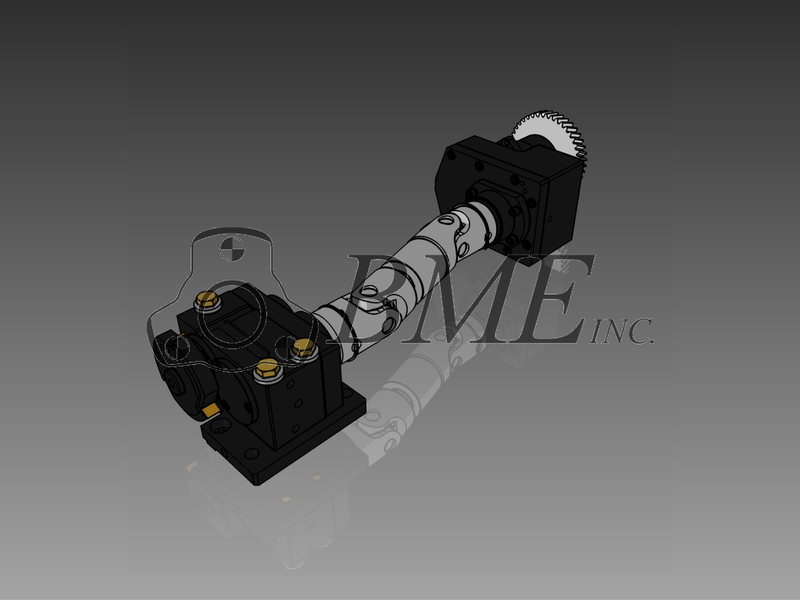 We have also designed custom attachments to thread mill Acme Style threads, and multiple start threads. Tool life in non-ferrous applications is excellent, with some customer’s reporting life exceeding 100,000 hits on the tool. The thread produced does have “facets” due the manner in which the thread is milled, having a 100 tooth cutter milling the thread, so this approach may not be suited for all applications. Along with our standard thread milling attachment, which allows for end slide work to exist in the same position, we also offer a “Low Cost” Thread Mill unit, that has a drive shaft mounted right in the plug of the gear box face. Although this unit is less costly, it does eliminate the possibility for end slide work. Contact us with any questions, and we always like to see a part print before we quote, so we can ensure this attachment will meet our customer’s needs.